Thank you for checking out my Dots and Stripes purse pattern as well as the Eyelet Sweaters and Seamless Slippers. Since posting my purse and sweater patterns on Ravelry last month, I have been enjoying all visits. 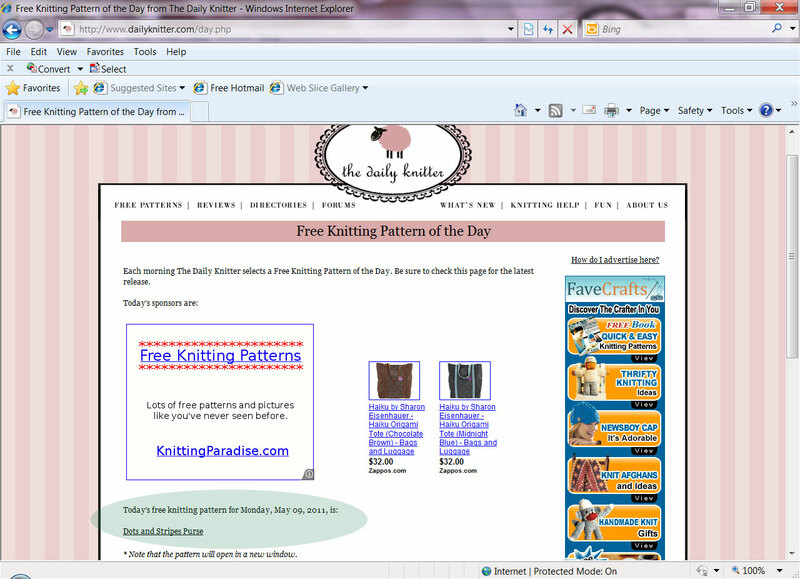 Today the Dots and Stripes purse pattern was featured as the pattern-of-the-day on Daily Knitter. Good choice for you in selecting the dots and stripes pattern. You are all that and A BAG OF CHIPS! Good job little sister! Hey cool! Congrats on the feature! It is a great and very fun pattern!